Hacienda Carmen was throughout the years also known as Hacienda Palés and Hacienda Pastor Diaz. It was located in Barrio Jauca just north of Jauca Bay in Santa Isabel. 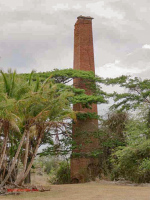 In a study prepared for a windmill project in the area, Architect Jorge Ortiz Colom and Eda M. Burgos PhD indicate that the chimney photographed below is where Hacienda Pastor Diaz was and that further to the East along the old railroad tracks and past what is known as Colonia Texidor, is where Hacienda Palés was. They state that in the Colonia Texidor there are ruins of the old horse stable, a house, a water tank and a hoist part of the Hacienda Pastor Diaz. The Gaceta de Puerto Rico edition of January 9, 1872 publishes an edict announcing the sale at public auction of Hacienda Carmen owned by Ramón Anés until his death ca. 1855. The action was being promoted by Ignacio Diaz Joglar for the benfit of his children Ramón, Enriqueta and Ignacio Diaz and Luisa Anés on her behalf as the daughter of Ramón Anés and for the benefit of her children Luis, Antonio, Domingo Wenceslao, Eloisa and Jose Antonio, all Palés Anés. It is evident from the above that this hacienda was known as Carmen until Ramón Anés' death ca. 1855. 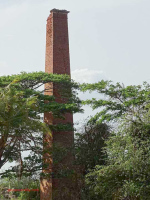 It is reasonable to believe that during the 17 years or so between his death and its sale at public auction in 1872, the hacienda was administered by Luisa's husband Antonio Palés Herrera and known as Hacienda Palés. It is also reasonable to believe that at the public auction mentioned above, the hacienda was acquired by Spanish immigrant from Asturias Ignacio Diaz Joglar who also acquired Hacienda Carlota in 1891. The name Pastor Diaz was most likely adopted when the hacienda was acquired (probably by inheritance) by Ramón Pastor Diaz Molinaris (1877-1939), the son of Ignacio Diaz Joglar and his second wife wife Rufina Molinaris Sanchez (1850-1914). The 1910 US Census records show Pastor Diaz as an independent farmer in Barrio Jauca of Santa Isabel which supports the above. 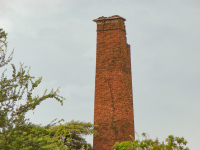 It is most likely at this time Hacienda Pastor Diaz had stopped processing sugarcane and was just a colono for one of the area central sugar mills. It is unclear to us if Hacienda Pastor Diaz and Hacienda Palés were two differnet haciendas as stated on the second paragraph above or if they were one and the same. There are several relationships between the Diaz and Palés families which may have something to do with the hacienda's history. Maria Esperanza spouse Manuel Texidor y Alcala del Olmo, the son of Jesús María Texidor y Vazquez, a well known sugar planter in Guayama who owned haciendas Josefa, Puerto and Gregoria, may have some relationship to the Colonia Texidor mentioned above, fact not confirmed. Today, its smoke stack is very close and can be seen on the north side of PR-1 between Santa Isable and Salinas.